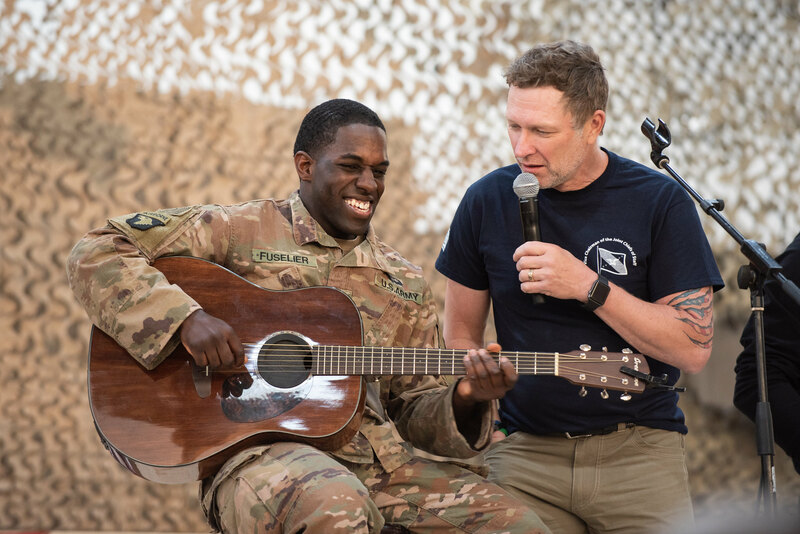 Craig Morgan recently returned from his eleventh USO tour, joining Vice Chairman of the Joint Chiefs of Staff General Paul J. Selva for the General’s final senior military tour. The weeklong USO tour, focused on keeping service members connected to family, home, and country, spanned seven days and five countries and traveled to Germany, Afghanistan, Qatar, Iraq and Italy. Joining Morgan were USO CEO and President J.D. Crouch II, celebrity chef Robert Irvine, surfer Makua Rothman, former MLB player Shane Victorino, and UFC fighters BJ Penn, Felice Herrig and Christopher Weidman. 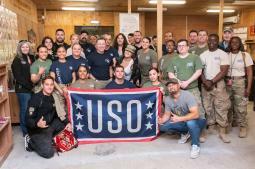 This trip marked Morgan’s eleventh USO tour and fourth with the Vice Chairman, having last traveled with him on an eight-day, seven country USO tour in March 2018. Morgan first volunteered with the USO in 2002 and is a USO Merit Award recipient who has gone on to participate in eleven USO tours, where he has entertained more than 45,000 service members and military families in 15 countries. Among the locations Morgan has visited with the USO are the U.S., Guam, Japan, Afghanistan, Iraq, Kuwait, Greece, the United Kingdom, Portugal, Spain, Diego Garcia, Qatar, Italy and the Korean Peninsula where the singer was once stationed. Prior to making it big on the country music scene, the singer/songwriter spent more than 10.5 years of service in the U.S. Army and an additional 6.5 years in the U.S. Army Reserves. This marks his eleventh tour abroad with the USO and his sixteenth overseas tour for our troops.